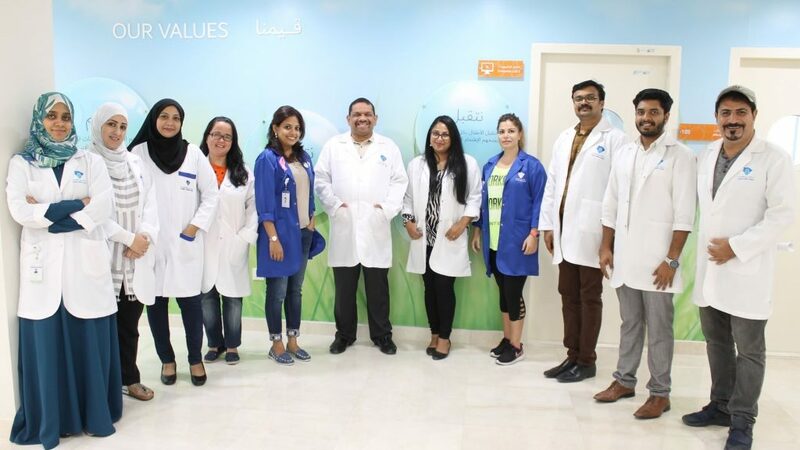 Dubai: As part of its strategy to provide comprehensive and integrated care for children with autism in innovative and sustainable ways, the Dubai Autism Center has opened a specialized assessment and intervention clinic for children between 2 and 18 years of age as part of the integrated services package for children with autism. The clinic is under the supervision of an integrated team of nine consultants from different disciplines. It was only a week since the new assessment and intervention clinic in Dubai Autism Center (DAC) opened its doors; before, they were already being visited, not only by parents from Dubai, but also from distant Emirate and other GCC Nations like Saudi Arabia and Oman! Indeed, a significant factor that sets this clinic apart from the other usual run-of-the-mill facilities is the time the team here spends with the child and parents during the assessment. “Our focus of assessment is to see the potential in the child and not their disability”, said Hala Hassouneh, the clinic’s coordinator. The fact that the clinic is truly interdisciplinary is evident if one looks at the impressive panel of clinicians who are available for consultation. Not only does the clinic have full time services of consultants in clinical psychology, speech and language pathology, occupational therapy, and a consulting general practitioner, this clinic also boasts of two clinical special educators who play a significant role in the team performing special education assessment. The Chief Consultant himself is a consultant rehabilitation practitioner and a professional special educator with 28 years of experience in developing assessment and intervention protocols for neurodevelopmental disorders. “The diagnosis of autism and other such neurodevelopmental disorders should not be based on assessment by a single professional such as a clinical psychologist or a medical doctor. It is a team effort, and as stated in the DSM-V, the diagnosis of autism should be a multidisciplinary effort and should not be done by a single clinical psychologist as is usually the practice here,” said Dr. Dhanesh Gopalan, the consultant clinical psychologist of the clinic. Catching them very young is a motto for the center as their early identification and intervention program shows. Most of the children who have come to the clinic seeking help are between the ages of 18 and 60 months. “Early intervention services are crucial for this group of children as, earlier they are identified and intervention provided, the faster they catch up in their age appropriate development”, said Ayesha Shabreen, the clinic’s family counselor. Both Mona Ibrahim and Priyanka Sahu, consultants in occupational therapy and speech-language pathology respectively, bring many years of professional experience into the clinic as full members of the multidisciplinary team in the clinic as their assessment findings are considered too for the final diagnosis and intervention planning. Very soon to start in the clinic is the evening intervention program which will be available from 3 pm to 6 pm from mid-November this year, says Sasheer, the assistant clinical psychologist. The clinic also has Dr. Raseena as the consulting general practitioner with two nurses, Sheena and Joshua. The Dubai Autism Centre (DAC) is a non-profit organization founded in 2001 with the issuance of a decree from Ruler of Dubai with the aim of providing a better life for children with Autism in the UAE. The DAC provides comprehensive and specialized services to children with Autism maintaining international standards. The Center also provides information, psychological support, advice and training to parents of children with autism and professionals. In addition to that, the Center focuses its efforts in spreading awareness on Autism, working towards facilitating a better understanding of autism in the UAE community. Founded in 2001, Dubai Autism Center is the largest, most innovative and comprehensive nonprofit organization in the United Arab Emirates serving children with Autism Spectrum Disorders.